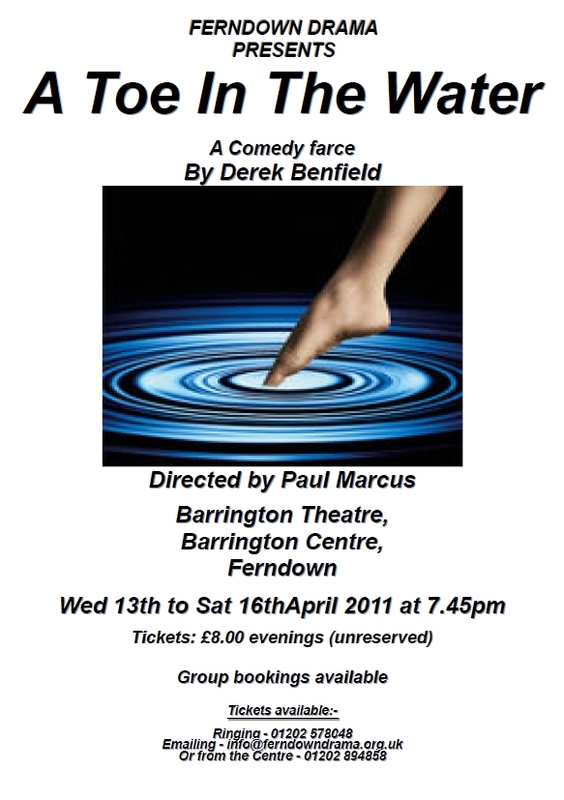 The April production (April 13th - 16th 2011) will be 'A Toe In The Water' , a comedy by 'Derek Benfield'. This production will be directed by Paul Marcus. 'Gerald needs a break. A relaxing few days on a Health Farm is just what he needs. Other people he knows have similar ideas'.